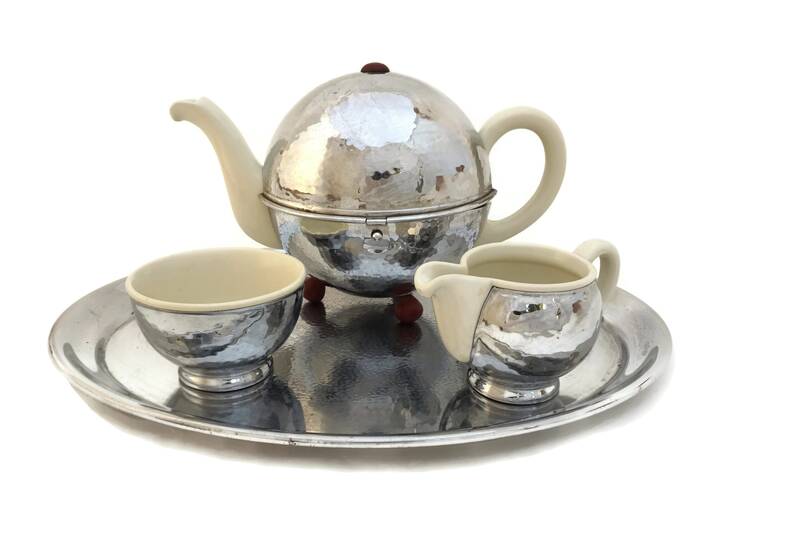 A stylish Bauhaus design tea set manufactured in Germany during the early 1930's Art Deco era. 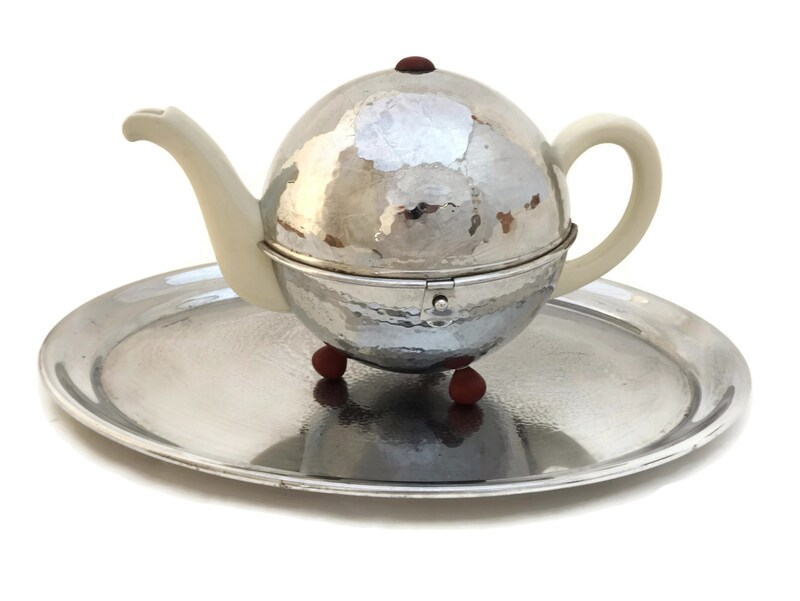 The set includes a teapot, serving tray, sugar bowl and creamer. 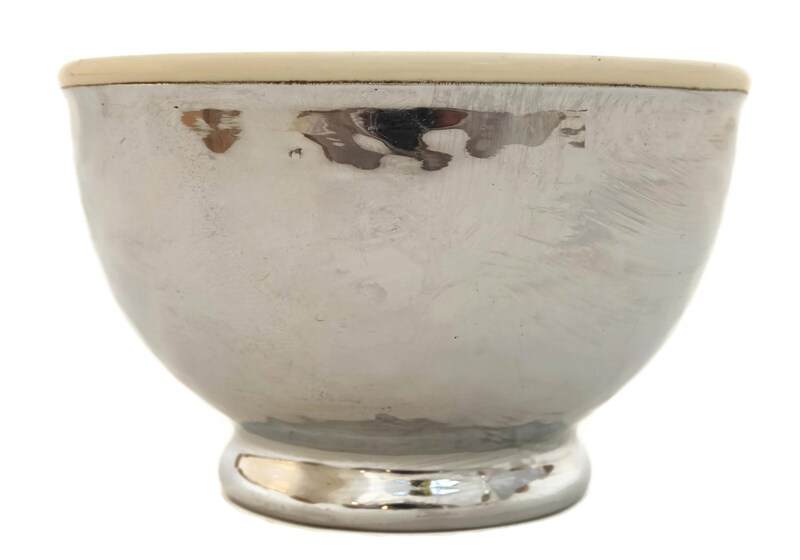 They were manufactured by the acclaimed German design and manufacturing company WMF (Wurttembergische MetallwarenFabrik). 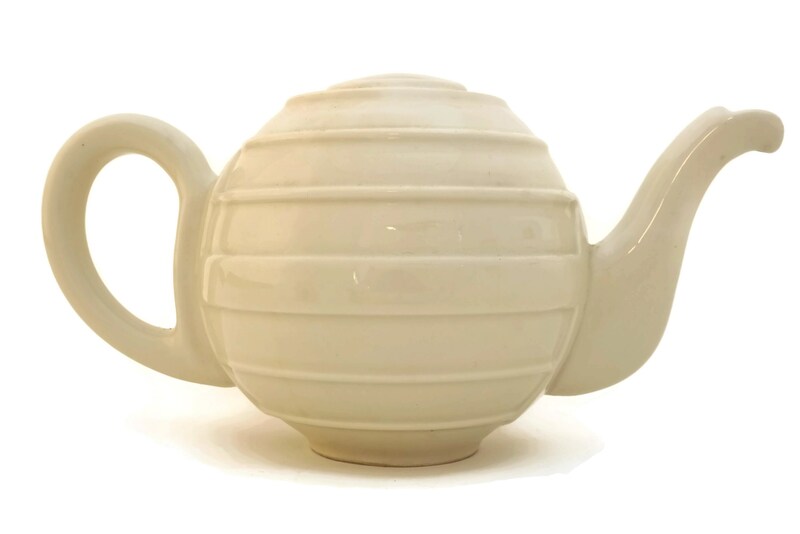 The teapot has been made from glazed ceramic with a rubbed exterior design. 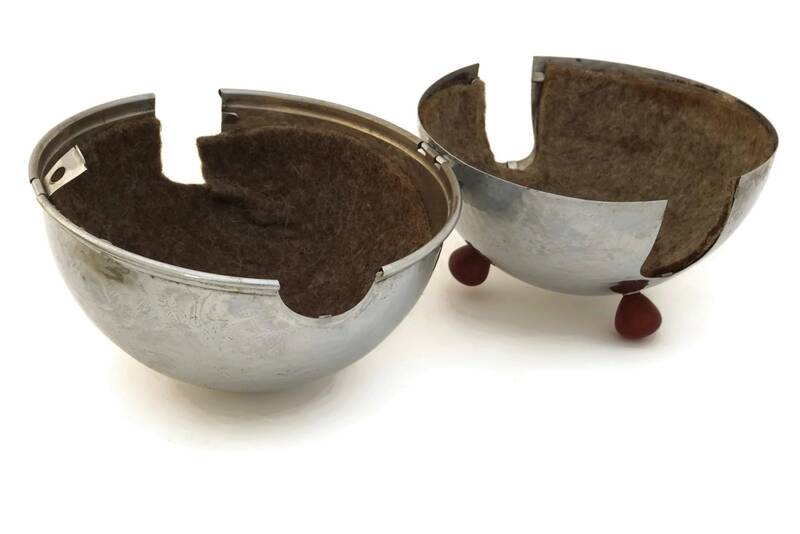 It has a silver tone metal cover with a hammered pattern and it is insulated with wool felt. 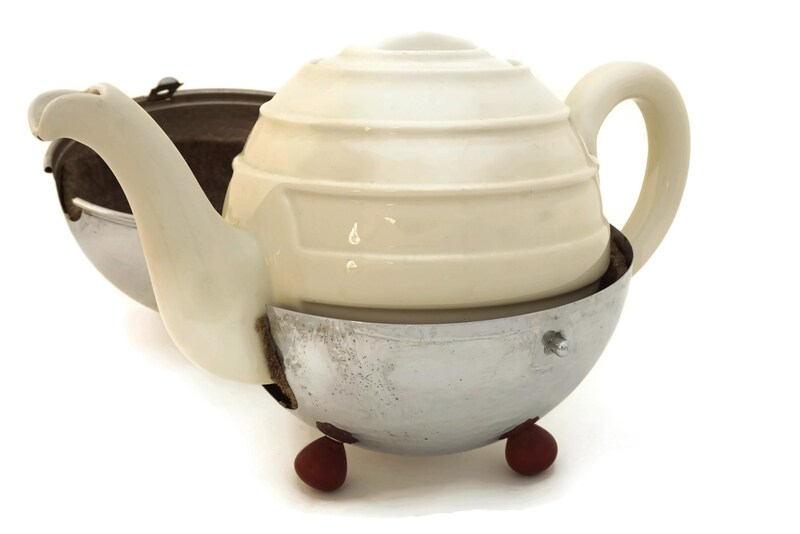 The feet of the teapot cover and the finial on the lid have been made from Bakelite. 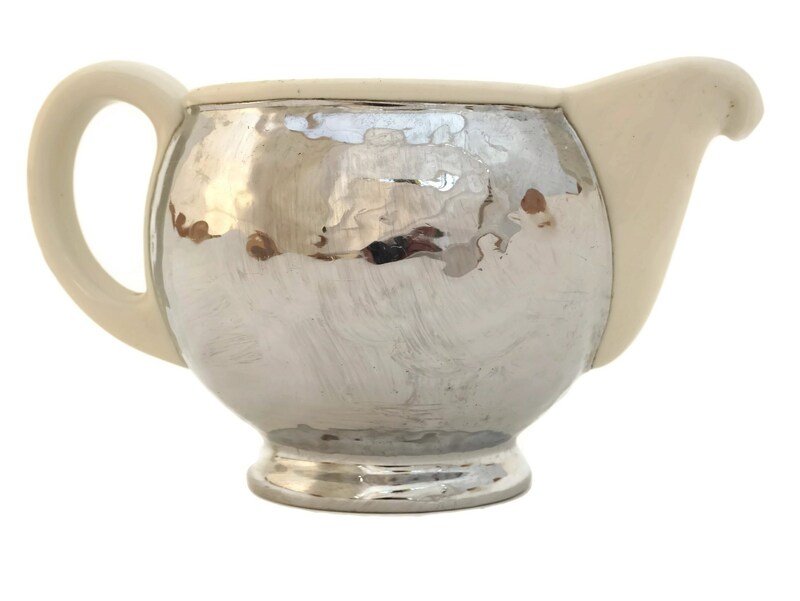 Both the sugar bowl and creamer are made from glazed ceramic with metal exteriors that are not removable. 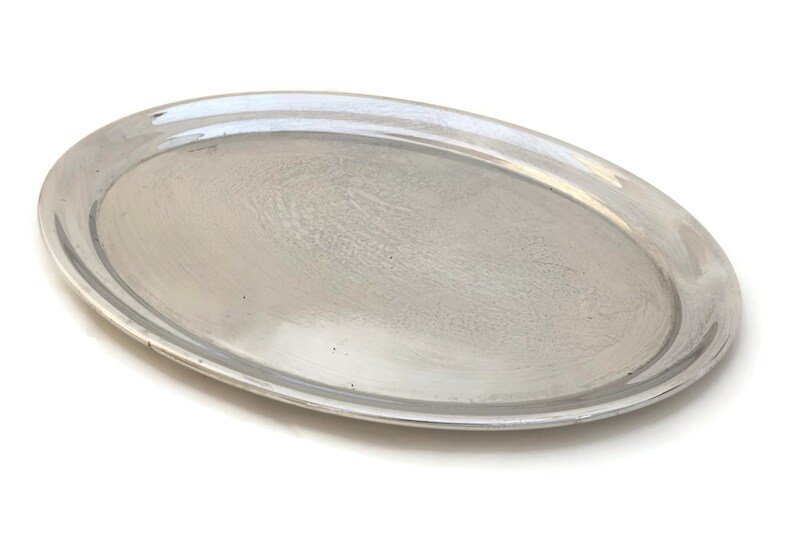 The large serving tray has an oval form and features a matching hammered effect to the surface. 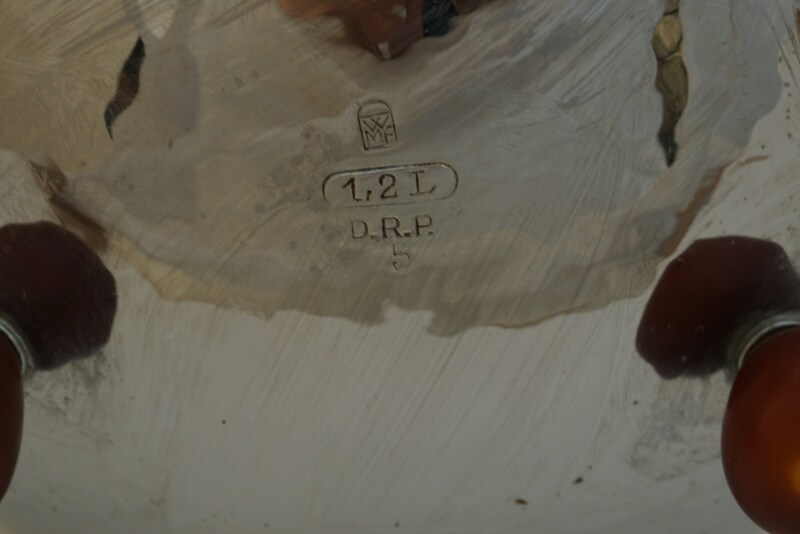 All pieces have been stamped with the WMF manufacturers mark. 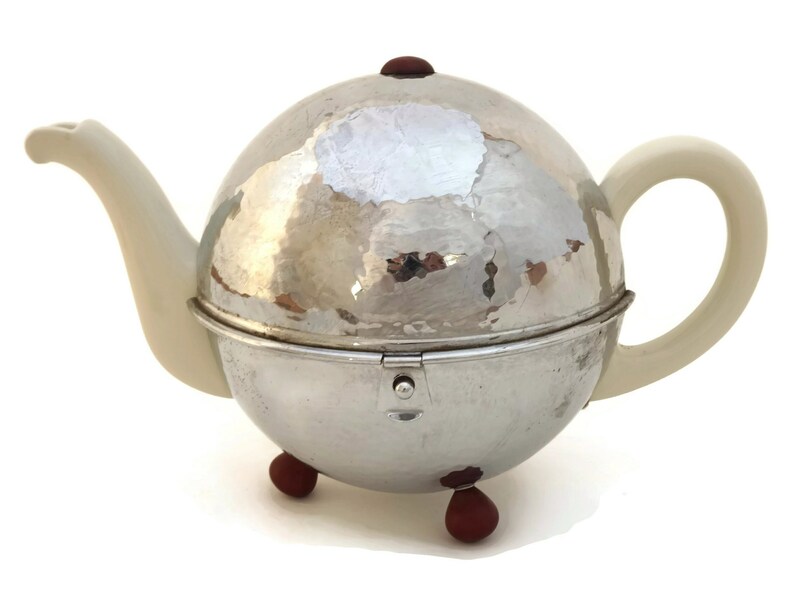 The Bauhaus tea set is in very good condition with some minor surface scratches.